The Automated Forex System Includes: Time to Trade Indicator, Advanced Forex Indicator, Template and Manual. You see, with Forex Trend Wave you'll be on the right side of the near term forex trend more than 80% of the time meaning more wins and less losses. What trading systems are you using right now that enable you to justify this 'incredible edge?' Not many right... otherwise you wouldn't be here right now reading this. 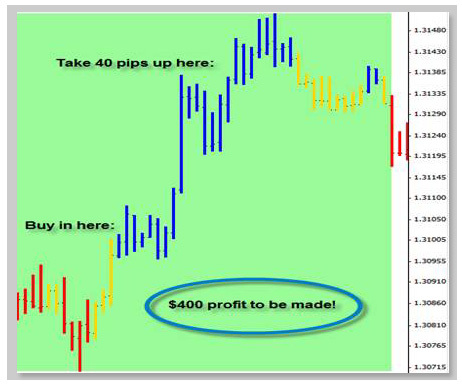 You'll learn when to trade to secure the most profits and maximize profits. 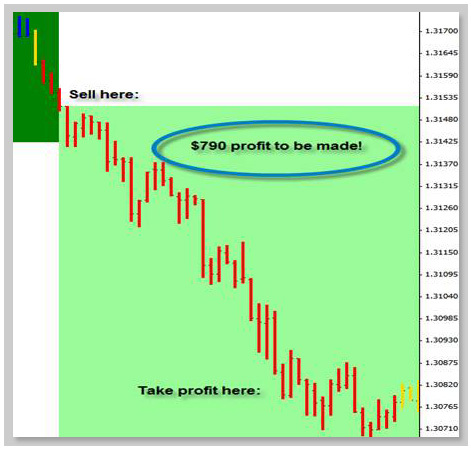 You'll learn how to recognize a profitable forex trading pattern from a BAD one! 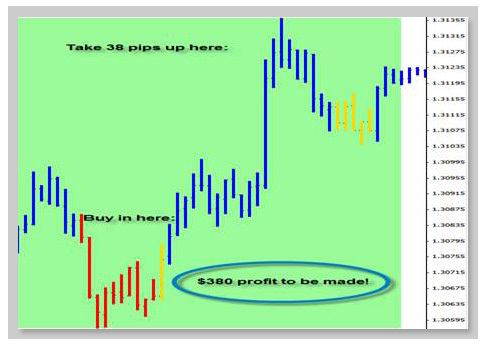 I told you just how simple Forex Trend Wave is to follow! You see the chart bar close to a Yellow bar. Time To Trade Indicator, Advanced Indicator and Template.